The adapter module consolidates signals from all connected controllers and provides this consolidated signal as a voltage signal; with expansion modules EM-LON and EM-BAC-MOD-01 the signal is provided as network variable. Supply air and extract air signals are considered. Network cable SF-UTP, 40 m max. Control electronics using a microprocessor, with configuration settings stored in EEPROM memory and hence safe in case of a power failure. Connections for all important communication and peripheral devices are located on the outside of the casing and hence easily accessible. Indicator lights on the outside of the casing for alarms (on both sides), controller function (heartbeat), and communication. 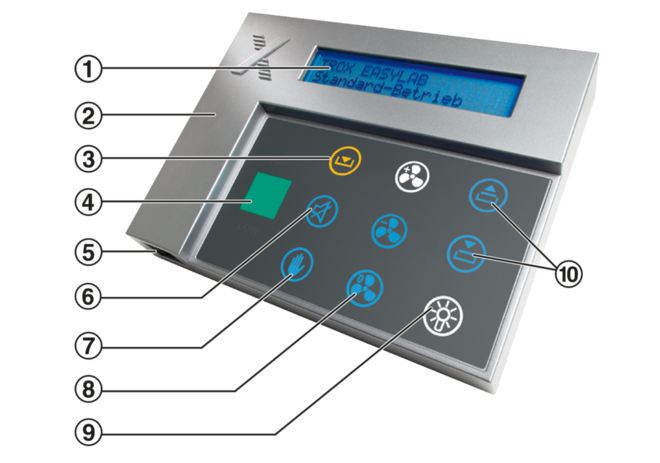 Communication system with plug-in communication lines, automatic connection setup without manual network configuration, easy to expand with additional controllers (usually without integration issues). Integration of variable or constant volume flow rates in the room balance using analog signals, switch contacts or constant values. 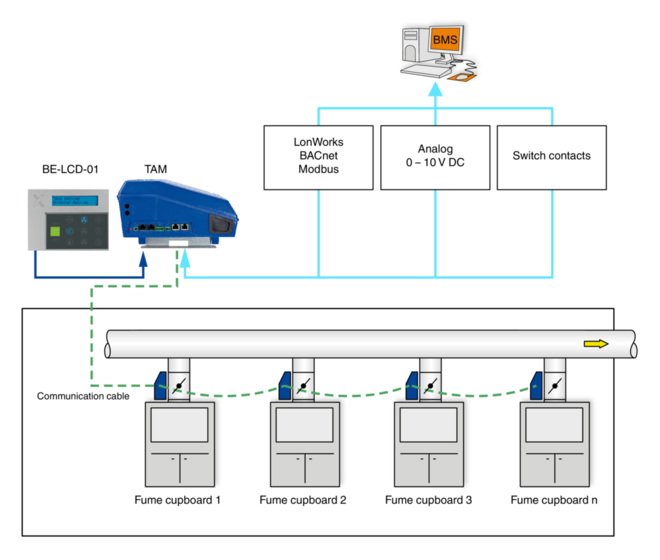 Signalling of volume flow rate consolidated signals, faults, and status messages to central BMS with analog or switch outputs. 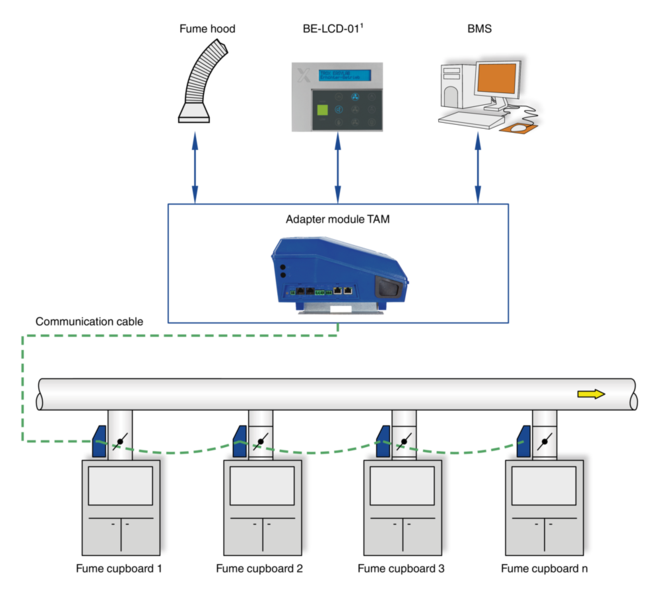 5 analog inputs for the integration of variable volume flows. 6 volt-free digital inputs for the integration of constant flows and/or the control of special functions. Digital output for an alarm; alarm conditions can be configured. In addition, extract air or supply air volume flows can be permanently integrated into the room balance.